Once you get tired of capping out at 99 rupees, it's time to upgrade. Like in the Legend of Zelda games, this embossed wallet will increase your carrying capacity and upgrade your style. 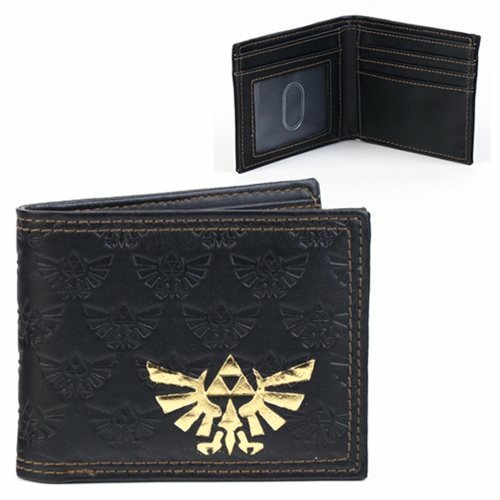 Carry your cash, cards and ID with you in this stylish Legend of Zelda Embossed Gold Foil Bi-Fold Wallet! Measures approximately 4 1/2-inches wide by 3 1/2-inches tall. Ages 14 and up.